Today is the final day of #seafoodweek and it seems rather fitting to celebrate the closing with another of our fantastic daily offers. As well as it being Haddock day for #seafoodweek it is also the day in which the world comes together to promote #worldfoodday #wfd2015. We’re joining the drive to make the world #hungerfree and we are pledging 25p from every sale of a kilo of fresh Haddock Fillets, whether it be sold through our sales team or the website. 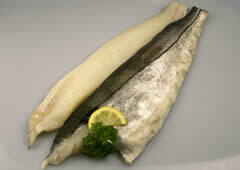 As well as promoting Haddock, we have an excellent deal on our fresh whiting cutlet duo pack which we are launching today. We already offer the duo packs at the bargain price of £2.00 per duo, however we are launching a TRIPLE OFFER for just £5.00. That’s 6 individual meal sized butterflied whiting fillets. Vacuum packed in pairs and frozen for convenience. Whiting is an excellent alternative to Haddock… These butterflied fillets are vac packed and ready to pop straight in the freezer. This product also gives the customer an opportunity to try a new species which is on the MCS ‘fish to eat list’ (customers should be encouraged to try other species and take the pressure off the more popular or less sustainable species). We are offering a great oppor-tuna-ty for one day only to grab a box if our JUMBO fish fingers at a bargain price of only £7 per box! Oh my Cod! 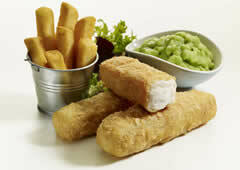 If you love fish fingers as much as we do, you can snapper up 3 boxes for £20! 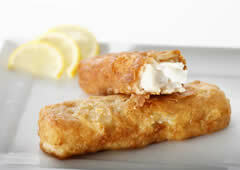 We are talking about 110g per JUMBO fish finger with MSC Cod Fillet and coated in a delicious crunchy batter. 5 of these bad boxes per box so plenty to go round. This is something rather special and we think you will be hooked! Grab them whilst you can and see what kind of monster fish finger butty you can make, we trout you’ll find any batter fish finger! Anyway, well stop carping on now! These fish puns and wearing fin!